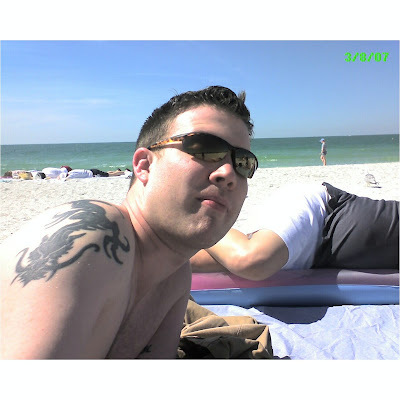 Jeremie sitting down in Florida....72 degrees....sunny....on the beach....anyone want to kill this guy? Yeah well, it got up to 29 degrees here in Michigan bro! Feels like summer to me.